138.com Bookmaker is one of the newest additions to the online betting world. The website launched in 2012 and is currently one of the best sportsbooks in Asia. The good news is that the bookie is now available in Europe, too. Lots of countries are in the excluded list, but the United Kingdom is allowed to play. Of course, 138.com are professionals and care about their players, so everything in their business is clean. The company is owned by Fesuge Ltd and is licensed and regulated under the jurisdiction of Isle of Man. This place is one of the most respected gaming authorities throughout the whole world. The 138 website is powered by the powerful Amaya software, which is a guarantee for stability and an easy user interface. The website design is quite clean, with dark red and black colors. Everything is easy to find and very intuitive for first-time users. 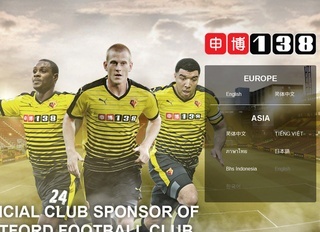 The sportsbook can be viewed in English, Thai, Japanese, Chinese, Vietnamese and Indonesian language. Aside from sports, players can enjoy a wide variety of casino and live casino games. But the great news here is, that the 138 bookmaker is the official sponsor of Watford Football Club. Furthermore, 138 is the official betting partner of Newcastle United. Both these facts help solidify the notion that the bookie cares about the U.K. market and is ready to commit. 138.com offers a vast number of sports to bet. Of course, the most popular sport is football, but players can also try to win on badminton, boxing, and cricket. The partnership of the bookmaker with English football teams means this is one of the best places to bet on Premiership matches. The sportsbook of 138 Bet is a great experience and any player who tried it returned to the bookie. The website also offers live betting. Do you prefer to bet on dynamically changing odds, with a full array of information before your eyes, ready for analysis? Then this type of sports betting is exactly for you. The casino section of 138.com is a force to be reckoned. Players can enjoy a wide array of slot games, jackpot games, video poker and many more. The Live Dealer option also gives customers the chance to experience the real casino feel and emotions, without leaving their computers. The croupiers are gorgeous and professional Asian and European people. Some of the offered live games are Baccarat, Blackjack, Advanced Roulette and Dragon Tiger. The odds on 138.com are magnificent, and you can expect some very nice winnings to come your way. The minimum you can bet is 1 GBP, and the maximum varies between sports and games. There is also a set ceiling to the maximum winnings – 100000 GBP per bet, but you shouldn’t let that bother you. After all, there is no limit to the winnings per day or week! The conditions are perfect for high rollers, who like to spread their bets along various sports and matches at once. The regular betting options are there, but Exact Score and Asian Handicap have some of the highest payouts on the whole website. Live betting also offers some superb betting options, but they are harder to nail down, because of the quick changes during the matches. The 138.com online betting website is secure. The SSL encryption, courtesy of DigiCert, provides an excellent layer of defense against hackers, making your money transactions and data completely safe and private. The customer service of 138 Bet is fantastic. The friendly professionals are always happy to help and try to answer as soon as possible. You can find these glorious helpers 24/7, throughout the whole year. Ask your questions by telephone, email, or live chat. The last option is great if you don’t feel like talking on the phone, but still want instant answers. The staff that handle the customer support service is very helpful and reliable. You will be happy to speak/chat with them. Depositing and withdrawing money on 138.com is made very easy. The bookie accepts Visa, Mastercard and a variety of e-wallet options. 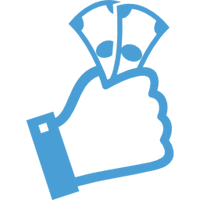 Furthermore, the payout rating is excellent, and you should not worry about not receiving your hard earned cash. 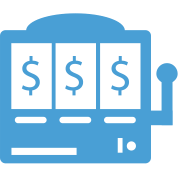 The bookmaker accepts various viable betting currencies, which can be reviewed in the table. The minimum deposit is set to 10 GBP while the maximum goes up to 5000 GBP at once. If you would like to bet more, you will have to proceed with a few more deposits. The welcoming bonus at 138 Bet is small, but you are not required to bet it on impossible odds like other websites. New players can get 35 GBP bonus (place 6 qualifying bets and you will get up to 35 GBP). Also there is 100% Welcome Casino Bonus up to 100 GBP + 25 free spins. The latest sport promotion is the Boost bonus up to 40% (bet a multiple 10 games and you will have 40% bonus on them). 138 is a reputable company, so they don’t need to offer huge bonuses to hook new players. The great user reviews and experience are a way better gift than several more bank notes. The online bookie also offers money-back special offers. Players can claim their funds back, without any bonuses they have received. Overall, the website is solid, and the experience is great. Give 138.com a try today!